Hello Readers! This is Kirstylee over from Moms Have Questions Too. I am so excited to be guest posting at Blissful and Domestic today because this blog is awesome! 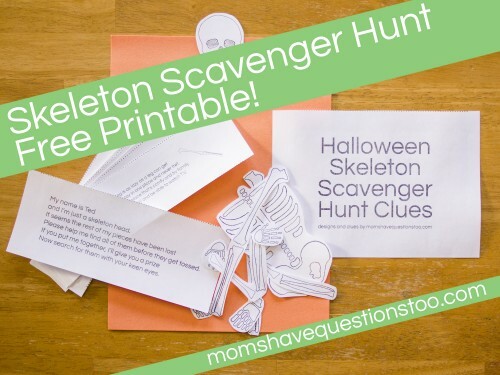 Today I will be sharing a fun Halloween scavenger hunt with printable clues. In this scavenger hunt your children will be looking for the different parts of Ted the Skeleton. They will find a different part (leg, body, hand, etc.) in each hiding place along with a clue to find the next part. Once Teds skeleton is completed, he has promised a prize. 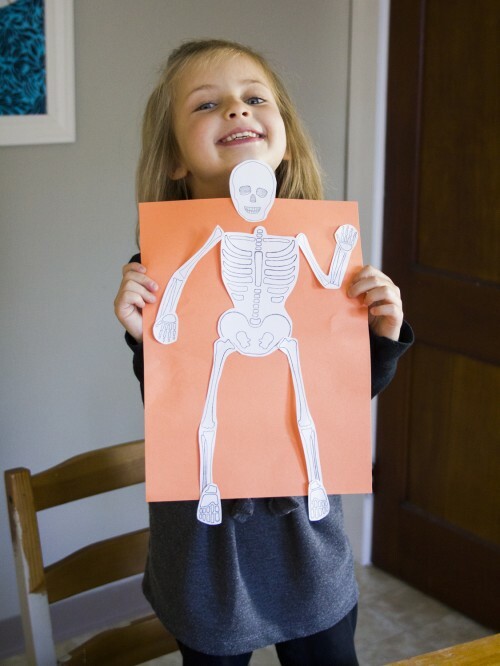 You'll want to start by downloading the printable skeleton and clues and cutting out the pieces. Note that the clues have a picture of the hiding place on the side of them. If you have young children who will not be able to guess the hiding place from the written clues, then keep the pictures on the clues. 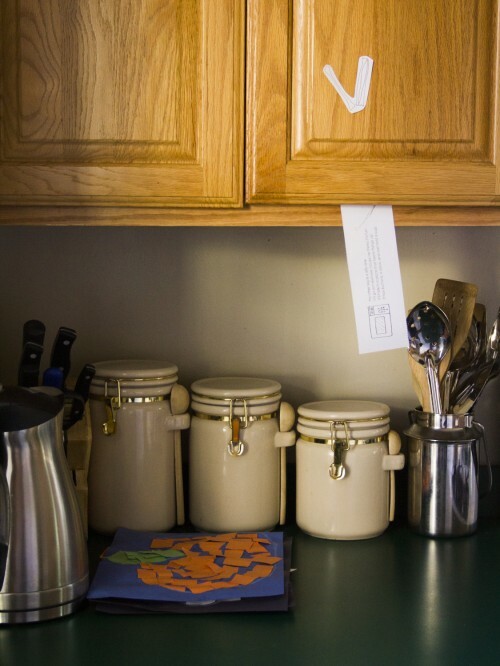 If you have older children who can guess the hiding place from the written clues, then cut the pictures off when you are cutting out the clues. Now, on to the hunt. Start by gluing Teds head to a piece of construction paper. His skeleton is bigger than a piece of construction paper, so you might want the head to hang off the paper just a little. Have the beginning paper that explains the hunt next to the construction paper or glued onto the construction paper. When I did this with my two sons, Little Bear (4) and Smiley Man (1), I just happened to be going into the kitchen to get a drink of water when I suddenly found a piece of paper on the table with a skeleton head on it. I brought them in and said, Hey guys, look at this paper I just found on the table. What do you think it is? Lets read it. My boys loved the mystery behind the surprise. After you read the beginning paragraph, either hand them the first clue or have it hidden underneath the paper. Read the clue and go and find the skeleton part that is hidden. We put the skeleton part and the next clue in an envelope and put them in the hiding place. When Cassidy, the photographer for Moms Have Questions Too, photographed this activity, she had the clue and the skeleton part taped to or sitting on the hiding place. 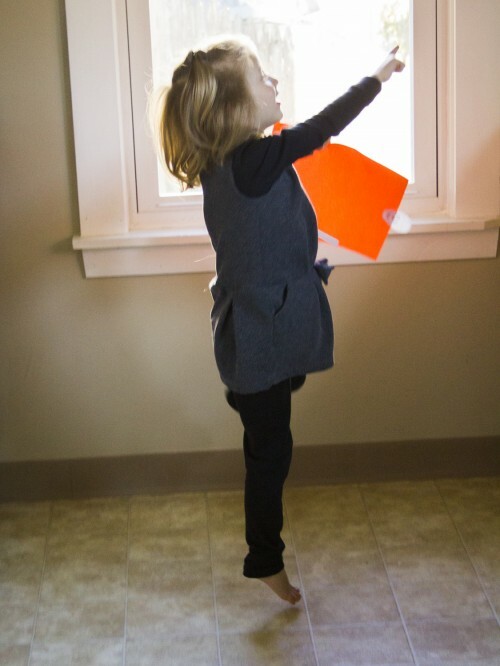 Your kids will probably get so excited about finding the clues that they will jump up and down when they discover the next one. Each time we found a skeleton part, we went back to the kitchen table, glued the part onto the skeleton, and then read the next clue. I made sure to put the parts in order from top to bottom (body, arm, arm, hand, hand, leg, leg, foot, foot) so that it would be easy to glue together as we went. When we got to the last hiding place (we did the washing machine last), the envelope only had a skeleton part, not another clue. Make sure that you dont lead to this skeleton part in the middle of the hunt or you wont have a clue leading to the other pieces. ;) At the last hiding place, we looked in the envelope and started going back to the kitchen to glue the part to the rest of the skeleton. I asked Little Bear where our prize was since Ted had promised us a prize when we completed his skeleton. Little Bear didnt know, but we decided to put Teds last piece on and then we might find the prize. So, we went into the kitchen and glued the last piece on, then when we turned around (thanks to some sneaky work on my husbands part) some delicious owl brownies were waiting for us on the counter. You can find instructions to make these brownies on Moms Have Questions Too My kids were seriously amazed with how Ted got the prize to them and ate them up happily. They loved this scavenger hunt and now are asking me if we can do another one! If you are looking for more Halloween crafts and activities check out the Halloween Craft page on Moms Have Questions Too. Thanks for having me guest post today. Your blog is amazing! What a cute idea. I am going to try this with my daughters who are 2.5 and 4. Love it! Now that sounds - and the participants confirm it - like a jolly time was had by all. Creating the game and taking part as well! Wish I'd had games like that at that age - our parents were not as creative in my time! That’s really an awesome idea to make the kids happy and thrilling. I would definitely try this with my kids and I’m sure they will enjoy it. 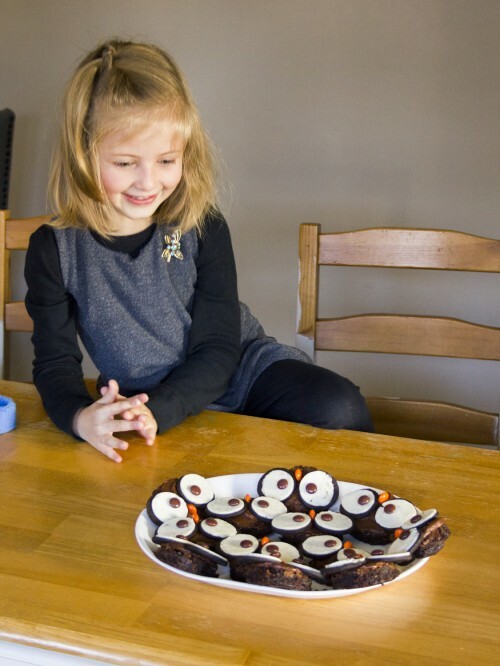 This is another great idea for this year Halloween and this would be really good activity to play with my kids. Of cause kids love to play around with spooky stuffs such as these ones. So definitely could make a memorable one for them. I did something just like the Skeleton one but I added some colours for it and came out nice. All appreciated. A great idea to make the children happy and interesting. 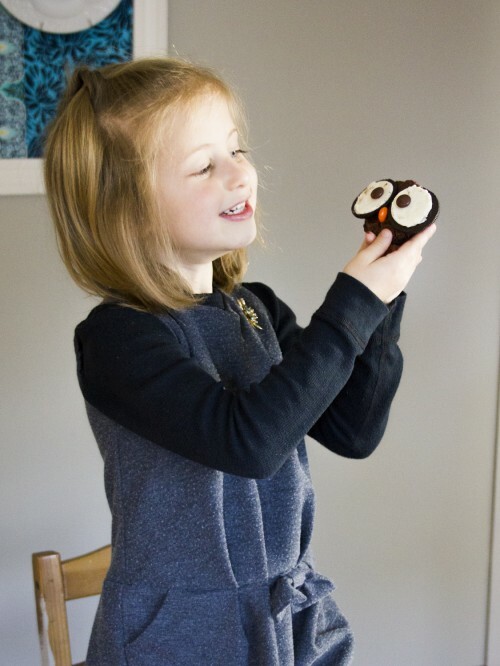 I love those cute owl brownies. Definitely I’m going to try it with my kids . My kids going to love this.